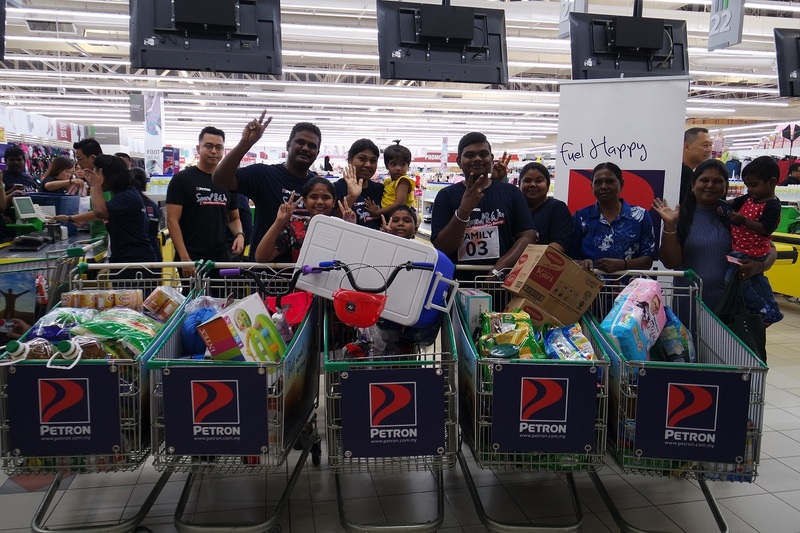 On 26th March, 2019 families warmed up at Plentong’s Giant Hypermarket as early as 9am before speeding their way to bag some goods for free, courtesy of Petron’s annual Petron Hypermarket Sweep, a shopping challenge held in Selangor, Penang, Pahang and Sabah to celebrate their loyal patrons. Together with Giant Malaysia Sdn Bhd, a popular hypermarket with more than 150 stores nationwide, a total of RM225,000 worth of groceries and 1 million loyalty points from Petron Miles Card and AirAsia BIG were awarded to the winners since 14th March, at Giant Hypermarket, Shah Alam with 20 teams. In Johor, 20 teams participated in winning RM55,000 worth of prizes. Five grand prize winners brought home over RM4,000 worth of groceries with them, RM3000 each for ten consolation prize winners and five more winners getting themselves RM1,000 worth of groceries each along with additional prizes of 100,000 Petron Miles Points and 200,000 AirAsia BIG Points, courtesy of Petron Malaysia and Air Asia. Anything is possible! Pile up and defy the law of physics! The participating teams were composed of four family members or friends and each team got two shopping carts. Group of participants who won RM1,000 were given 3 minutes to fill in their cart, the RM3,000 winners with 4 minutes and RM4,000 winners were given 5 minutes respectively. Creativity and calculation were at play as they grabbed luggage and containers to get more stuffs into their given two shopping carts. Some teams were getting premium groceries like expensive personal items, milk powder, health food and etc. A winner of RM4,000; Selvaganesh grabbed two children bicycles and 3 carts full of groceries with his family and greeted even more family members in delight. There was particularly something for everyone in the family and they thank Petron for organising the event.